In this article we’ll look at how you can make a guaranteed profit by matched betting on the World Cup 2018. The Football World Cup is less than a month away and the excitement is starting to build up. Gareth Southgate has revealed his 23-man squad who will fly out to Russia at the beginning of next month, with some big names overlooked. Joe Heart and Jack Wilshere are the two key names absent from the 23-man squad who kick off their campaign against Tunisia on 18th June. It’s fair to say, Southgate has opted for a young team with plenty of potential. However, against sides like Germany and Spain, do we have the experience required? One thing’s for sure, there will be plenty of support back home, with many people placing a bet or two on the different games throughout the World Cup. What if I told you there’s a way to make a guaranteed profit during the 2018 World Cup by using matched betting? If you’re new to matched betting or you’ve never heard of it before, you’ve found the right article. Matched betting is one of, if not the best way to make money online in 2018 and it’s especially profitable during large sporting events like the Football World Cup next month. We take advantage of the bookies free bets and promotions using a risk free betting method called back and lay betting. In simple terms, we place two bets – one for an outcome to happen and one against that outcome happening. To do this we use a betting exchange like Smarkets. Using this method, our bets effectively cancel each other out. 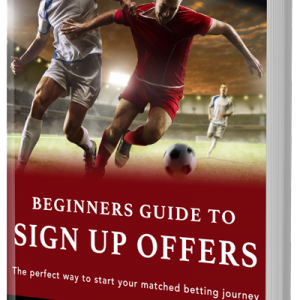 You might think this seems pointless, but this is how we can make a guaranteed profit from bookmakers free bets without risking any of our own money. As we’ve already mentioned, large sporting events are brilliant for no risk matched betting. These events attract loads of new and existing betting customers so the bookies are very keen to drum up as much business as they can by offering promotions and incentives. The Football World Cup in 2014 had a global audience of 3.2 billion people and the 2018 World Cup in Russia is likely to beat that. Obviously the more promotions we can take advantage of using matched betting, the more money we can make. The upcoming World Cup will be no different. Whilst it’s still too early to talk about specific matched betting offers, you can be sure they’ll be plenty of profit to be made during the event. For all the latest information, tips and tricks stay tuned in to The Sure Bettor so you don’t miss any opportunity to bag a profit during the 2018 Fifa World Cup. Whilst Southgate has put a more promising team together than we’ve seen in recent years, expectations for England are still very low. As a country, we know England always seem to struggle when it comes to competitions on the world stage. England made it through the qualification process with relative ease. However, don’t let this get your hopes up! This happened four years ago and we were knocked out the competition after just two matches, setting a new record for England. 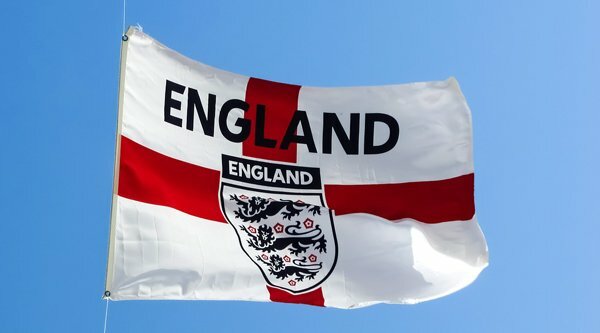 If we make it out of the group stages that would be a brilliant result for Southgate and the England team. We’ll skip a few favourites to number 3 on the list – Belgium, Argentina and France are the ones who fill the gap. With odds of 6.0, Spain are the third most likely team to win the 2018 World Cup. The 2010 champions are in much better form than four years ago when they were knocked out in the group stages. They smashed Argentina 6-1 in a friendly earlier this year. With arguably the world’s best goalkeeper in David de Gea, the Spanish team are looking very strong. With odds of 5.5 at Bet365, Germany are second favourite to take the title. Germany are in a great position, they’ve not got the pressure of being favourites yet they’re still well in the running. The number one ranked team in the world have been in great form recently, winning all 10 of their World Cup qualifiers. However, there are injury doubts over Manuel Neuer and whether he’ll recover from his broken metatarsal. Despite this, the current title holders are in a strong position. At odds of 4.0, you’d be mad not to put money on Brazil winning the World Cup. Being the most successful team in the World Cup, having won 5 times, there’s a huge amount of pressure from the team and the fans. To add to this, Brazil have their own injury woes – there’s still doubt about Brazil’s star player; Neymar. He’s recovering from surgery on a broken foot and is unsure whether he’ll be properly fit for the tournament. However, coping with injuries is somewhat easy for Brazil thanks to the strength in depth of their squad. Whoever wins the tournament, you can be sure it’ll be a great spectacle on a global scale. Matched betting on the World Cup will certainly very entertaining. What’s more, you’ll be able to make a great profit whilst watching England hopefully progress out the group stages.